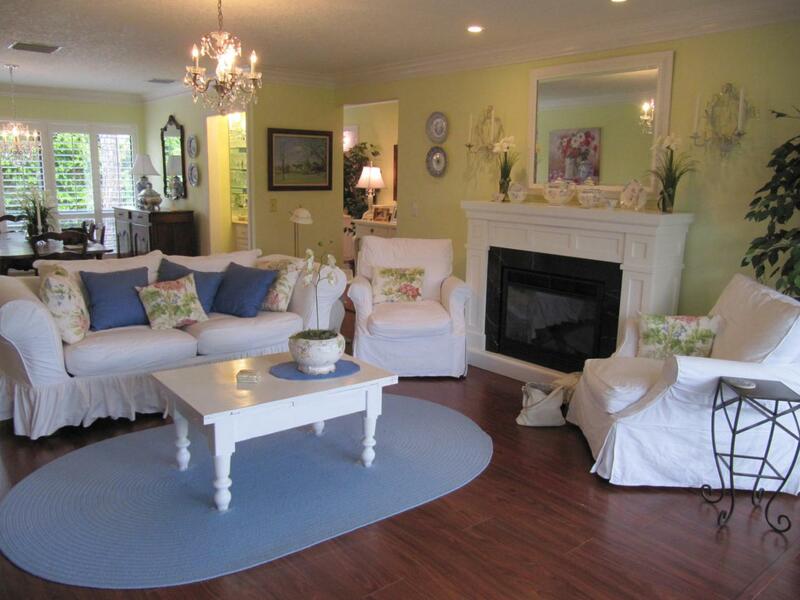 Cheerful residence located on the second floor with great golf and garden views. Look for conveniences such as the wood flooring throughout living area, crown molding, spacious interior living area, dining area with marble bar. Beautiful natural lighting, even in cloudy weather. Plantation shutters throughout. The sun porch as been closed in creating an extension of the living area. Off-white carpeting in bedrooms, the master bath shower has been updated with marble double shower. The master closet has been renovated with closet built-ins, allowing you to see wardrobe choices teamed with accessories at your fingertips. Newer A/C unit and appliances. Most furniture conveys and decorating style is coastal. Close to area pool and bike barn. This lovely home has everything you need.New Clubhouse Is Open! Mandatory membership. Quail Ridge is a private, member-owned community and club. All residents are members of Quail Ridge Country Club and have a choice of either a golf or a social/tennis membership.Fireplace does not convey.